If you are a professional electrician, HVAC technician, engineer, or a workman who deals with metal sheeting, then you know that having the right tools in your toolbox can make a difference in the time you spend on the task as well as the results you deliver on a project. Without the right tools, you are likely to mess up with the materials and even worse, waste a lot of time and still end up with unexpected results. To protect you from being a victim of unsatisfactory projects, I will help you discover the best aviation snips. These snip sets are designed to help you cut metal sheeting precisely so that you can get a well-insulated and air-tight insulation. Keep reading and be sure to distinguish the appropriate aviation snips from the rest of the snips. Combining the Kush’N-Power grips with glide-tech forged blades, the Midwest aviation snips are the perfect choice when you want to produce a clean cut with minimal hand force. The grips conform to the motion of the user’s hands while the glide-tech forged blades assist in delivering fast and clean cuts with minimal strain to the hands. Away from that, the snips include indented ribs which help to prevent slippage of the hands and fingers to assure you of safety and comfort. You can get this snip set when you are in need of aviation snips that will deliver reliable performance for a long time due to the long-lasting cutting edge. In fact, the blades are hot drop-forged using a molybdenum alloy steel and then heat-treated to enhance maximum strength and durability. That’s not all since the snips feature high tensile strength steel that will not bend from hand pressure so that they can provide efficient conversion of the hand force to cutting power. The compound leverage cutting action is another plus of the snip set so that the cutting action can multiply the handle force for easy operation. Once you get this snips, you can expect to receive two aviation snips which comprise the left and right cut offset model. As such, this is a perfect gift idea for professional sheet metal tradesmen and contractors. Hand fatigue is a common challenge faced by hand-tool users, but you do not have to pass through this, once you get Stanley aviation snip. The tool features a bi-material grip meant to ensure a firm and comfortable grip so that you can get it with an assurance of comfort. More to that, the snips feature a high-leverage compound design which enables it to cut up to 18-gauge steel. You can use the snips for different tasks including cutting aluminum, screening cardboard, copper, leather, or vinyl siding. When using them, you can be sure that they are safe to use due to the serrated cutting edges that prevent materials from slipping during use. Also, the snips are easy to use due to the latch design that allows for a quick single-handed operation. The snips are designed to deliver reliable performance for a long time due to the double overwind spring that enhances durability. Also, the snips include forged chrome molybdenum steel cutting blades meant to enhance strength and durability. The pair meets ANSI standards meant to assure you of reliable performance and durability. Looking for the perfect toolset for professional metal tradespeople and contractors? If that is the case, I recommend Red Oak toolset. The set consists of straight-cut aviation snips and a hand seamer. The hand seamer makes bending, crimping and forming of sheet metal easier to enhance convenience in metal works. On the other hand, the aviation snips make it easy for you to cut up to 18-gauge steel due to the compound cutting design. You can get the tool set with an assurance of comfort and ease of use, thanks to the optimal handle span that enhances maximum power and a comfortable operating range. Also, the handles feature a Bi-material cushion grip meant to enhance a firm and comfortable grip. If you are a professional contractor looking for aviation snips that will withstand everyday use, then you can end your search here. 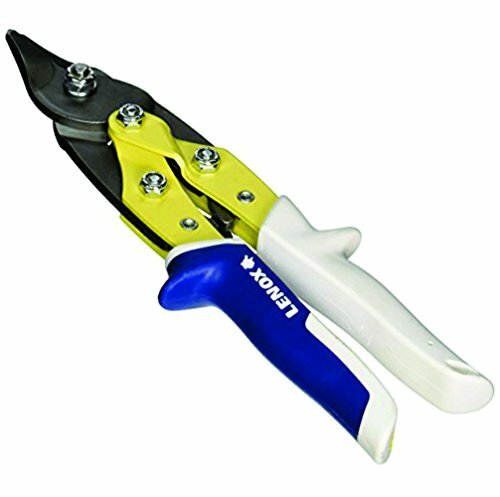 These aviation snips feature forged alloy steel blades meant to guarantee maximum tool strength. In addition to that, the snips include hard chrome plated blades making them a perfect choice when you are in need of aviation snips that will resist corrosion and rusting. You can opt for these aviation snips when looking for snips that are easy to use, thanks to the one-handed locking mechanism. Besides that, the snips feature a flush bolt design so that they will not hang up on material. Mobarel aviation snips include serrated jaws and a straight cut design which makes them suitable for cutting up to 18GA cold rolled steel and up to 25GA stainless steel. If you are in need of a compact aviation snip set which you can take with you wherever you go, this is it. The set includes three cutting snips comprising the left cutting snip, straight cutting snip, and a right cutting snip. More to that, there is a convenient nylon pouch which makes it easy for you to carry the snips. Once you decide to get this set, you should not let the compact sizes to fool you since the aviation snips carry all the power you need. The snips are useful when you want to cut carbon steel with an 18-gauge capacity. On top of that, they can cut stainless steel with a 22-gauge capacity. 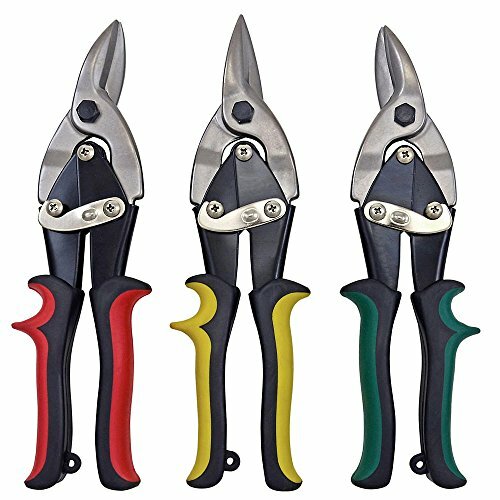 You can get the snip set with an assurance of getting durable snips, thanks to the nickel-plated handles and the heavy-duty locking latch. In addition to that, the snips feature cutting jaws that are hardened to 62 Rockwell hardness scale to guarantee strength. The cutting jaws are not serrated to ensure smooth and burr-free cuts. Whether you are in need of aviation snips that will deliver right curves, straight cuts, left curves, or trim cuts, then you can rely on Channellock aviation snips to do the job. The snips are designed to cut 24gauge Cold rolled steel using the forged alloy blades. Apart from the durable blades, the snips include precision serrations which enhance a clean material finish and an optimum cutting performance. The compound action is another plus of the snips meant to ensure maximum cutting power with minimal effort. The answer to a multipurpose aviation snip that will let you cut sheet metal, rubber, plastic, and vinyl is Irwin’s multi-purpose snip. The tool features a flat blade which enables it to deliver straight and curved cuts. Also, it includes hot drop-forged steel blades meant to guarantee long life and maximum strength. The snipping tool can cut cold roll steel up to 24-gauge. Besides that, you can use it to cut 26-gauge stainless steel. You can get this multi-purpose snip when you are in need of aviator snips that will deliver superior comfort, thanks to the pro-touch grips and the precision-ground edges that ensure a tight grip. On top of that, the pair of snips is a great choice to durable aviation snips due to the durable spring washer that holds the blades tightly against each other. 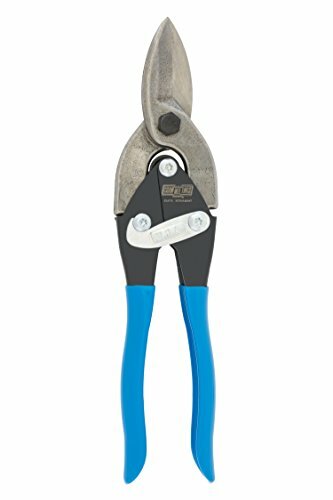 Crafted using wear-resistant molybdenum steel, this is one of the aviation snips set to consider when you are in need of a pair that is built to last. Besides that, the snips feature a tough design which makes them strong enough to cut up to 18-gauge steel. You can expect the snips to deliver safe and secure control when working, thanks to the comfort grip handle design. Also, the snips are designed to enhance safety due to the unique latch design. Another feature that you are likely to appreciate is the self-opening action that guarantees fast feeding. On top of that, the snips include non-slip serrated jaws meant to ensure a tight grip when you are using them. Engineered to cut through thick wires and other materials, the Craftsman aviation snip set is a great choice when you are in need of snips that will handle the toughest and thickest wires. In fact, each snip tool is ergonomically designed so that the handle can feel comfortable in the hand during the tough tasks. What’s more, the handles are molded to make the tools a great choice when you want to avoid blistering and chaffing as a result of repeated use. You can get this set when you are in need of a solution to getting into hard-to-reach areas since the set includes three aviation snips to allow you to locate the perfect one for right cuts, left cuts, and straight cuts. Next on the review is Malco’s aviation snip which serves as a great choice when you want a snipping tool that is suitable for use by different individuals. The tool features a narrower grip opening which enables it to accommodate large and small hands. Further, it adopts a one-handed operation metal latch which is accessible from the top or side making it easy for you to use it. You can expect this tool to deliver clean cuts and without surface distortion due to the double cut blades that feed smoothly. Also, the snips include a curved cutting edge on the center jaw meant to reduce the cutting force required in different projects. The large relief grinds on all jaws is another plus of the snip tools so that you can benefit from minimal drag when using them. Benefit from the best value for your money once you get this snip set. The set includes three aviation snipping tools all featuring a durable construction to guarantee a long cutting life. In particular, the tools feature a forged chrome molybdenum alloy to guarantee strength. 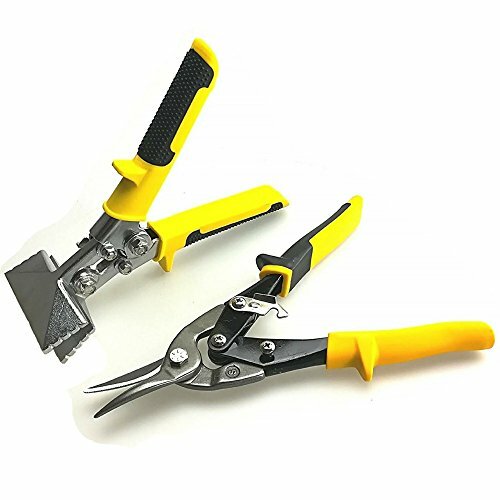 Besides that, the tools include an internal locking mechanism which makes them an ideal choice when you are in search of snip set tools that are safe to use. The flush hardware is another plus of the snip tools meant to allow smooth access from the pouch. Designed to cut through thick metal and last for a long time, you will not regret once you opt for Lenox aviation snips. The snipping tool features precision-formed blades which enable it to cut through heavy material. On top of that, the tool features springs made from reinforced chrome silicone to guarantee durability. You can use the aviation snips for tasks that take a lot of time due to the over-molded handles that deliver comfort without twisting or slipping. In addition to that, the tool includes color coding on blades and handles, plus arrow icons so that it is easy for you to identify the snip type with a lot of ease. Concluding our list is Bastex aviation tin snip tool which is designed to last through any snipping job. In particular, the aviation snips features a head that is made using hardened steel to guarantee durability. More to that, there is a handle base made using durable rubber to enhance strength. The snipping tool can cut through thin sheet of aluminum and metal which makes it a great choice for general usage. Apart from that, the tool is designed to minimize the amount of force required during cutting tasks due to the two pivot points that help to reduce the amount of pressure needed to deliver a cut. You can get the aviation snips with an assurance of safety, thanks to the hook feature that keeps the snips closed. 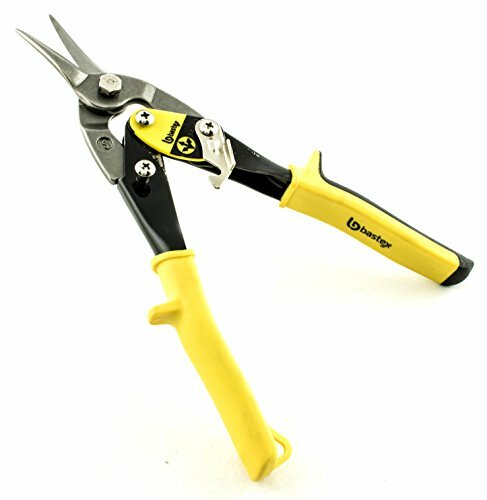 Further, the snips feature slip-resistant bright yellow handles that prevent them from slipping to enhance safety. Q1: How can I tell that my aviation snips are built to last and handle whatever I throw at them? 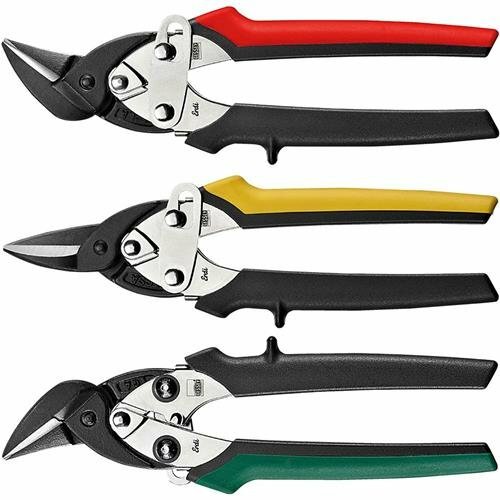 A simple and straightforward way to getting durable snips involves getting snip tools with durable blades and a long-lasting cutting edge. For instance, you can get snips that feature steel blades and also read customer reviews so that you can get an idea of how long the aviation snips will last. Q2: What is the meaning of the different colors on the handles? 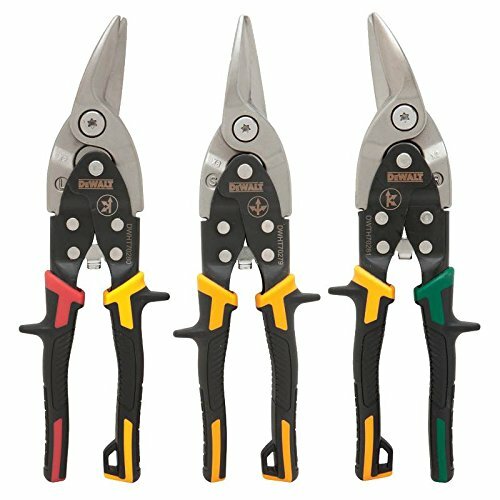 If you have come across a range of aviation snips, I believe that have noted that snips feature handles that come in different colors. While you might consider this to be for beauty, you should note that this is not the case. In fact, the different colors signify the direction the snips are designed to cut. 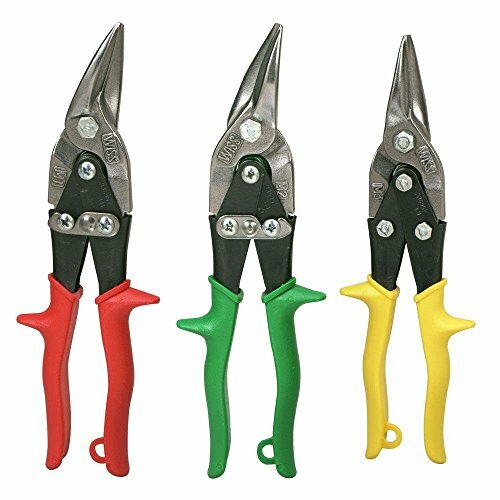 Red-handled snips are designed to cut left and they are comfortable for right-handed users. 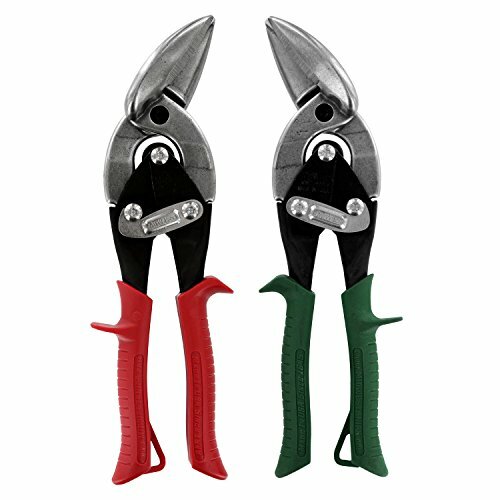 Green-handled snips are designed to make right cuts and they are comfortable for a left-handed user. 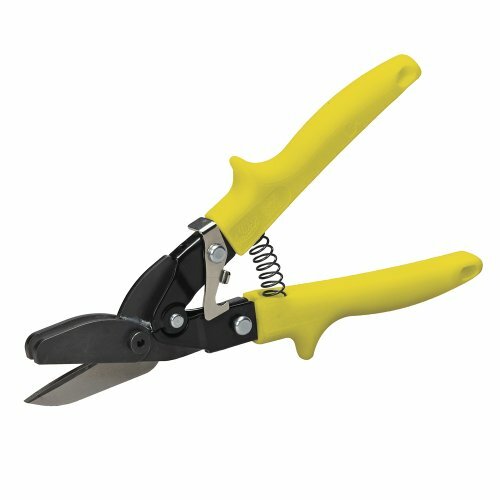 Yellow-handled snips are designed for straight cuts. Q3: How do I know if the aviation snip is right for the metal I want to cut? This is an absolute relevant question if you want to get the right aviation snips. So, talk to the seller and ask him/her to guide you on the right snipping tool based on the gauge of the stainless steel. Besides that, you can read about the ability of the tool so that you can get an idea of the material it can cut. So, ask about the maximum gauge of metal the snips can cut since you do not want to purchase a tool that will not assist you with the task at hand. Q4: How can I select the right snip tool based on the blade type? Note that snip tools feature different kinds of blades among them smooth blades and serrated blades. Serrated blades are perfect for grasping metal and creating a non-slip situation. On the other hand, smooth blades are suitable for natural metals such as copper, zinc, and aluminum. Q5: Should I opt for slightly offset blades or straight aviation snips? For you to determine the type of cuts that are easier to make, you will need to consider the angle that the handles are offset from the actual cutting blades. Here, you should note that straight aviation snips are suitable for cuts in tighter curves. On the other hand, slightly offset blades are suitable for long and straight cuts. So, pay attention to the type of cuts so that you can choose the right type of snips. In conclusion, I urge you to give a try to the aviation snips reviewed above since these make it to the top 13 best aviation snips in terms of the best value for money. In particular, the snip tools feature a durable design, sharp blades, and ergonomic handles to enhance comfort and ease of use. So, based on the metal sheet in question, you can rest assured to locate the right tool from the reviewed products.